We would appreciate hearing from you if you have any questions. 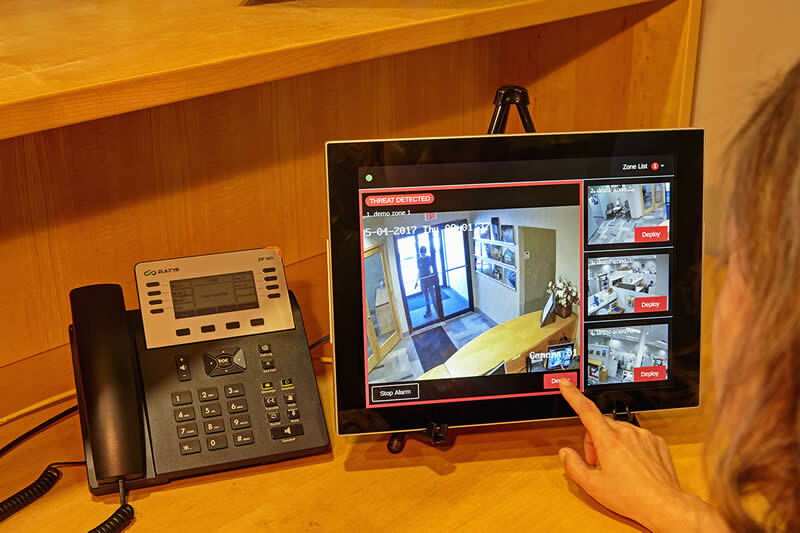 The shooter suppression system user interface consists of one or more POE-tethered touchscreen stations located throughout your facility in locations where trained building occupants can quickly respond to an alert. 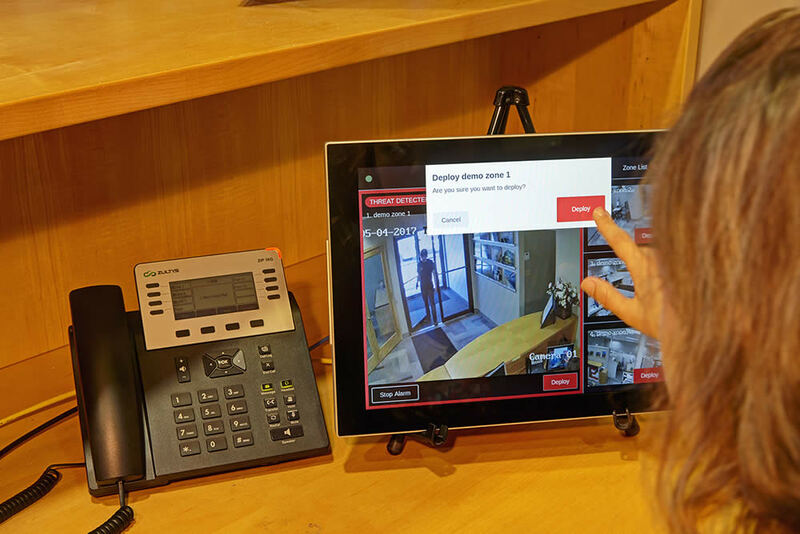 Each touchscreen is monitored by an employee. 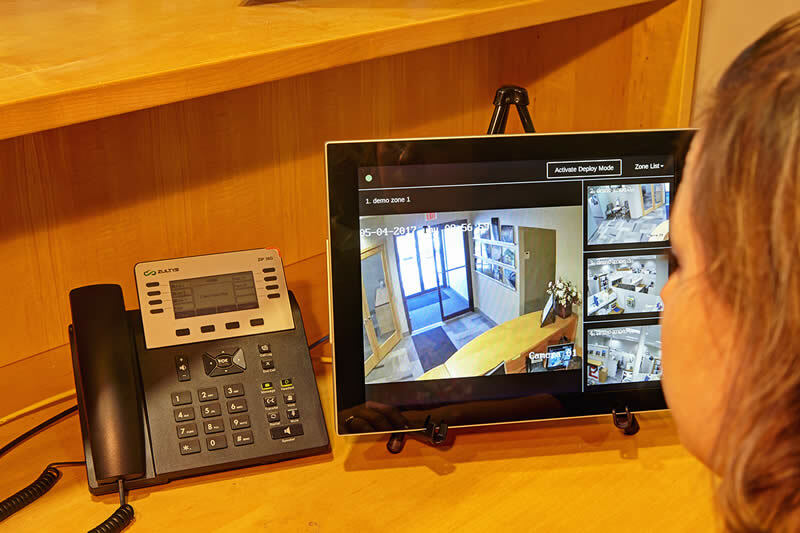 The threat suppressor touchscreen allows the trained building occupants to monitor and visually recognize the threat and deploy the system for any single zone or multiple zones. The Crotega shooter suppression system is a closed system. All control connections are hardwired to protect the system from unwanted wireless access by those who would do harm. The system will control single or multiple zones and is scalable to control entire facilities. 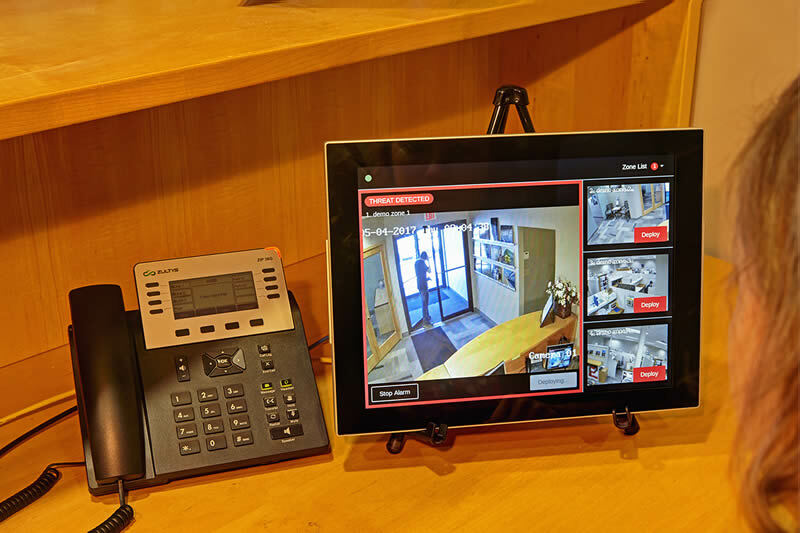 Multiple facilities on the same campus can be controlled provided that high quality secure fiber optic connections are available or could be installed. Each touchscreen station can monitor four zones simultaneously. System can be activated upon detection of a threat by touching the “Activate Deploy Mode” button. Once a threat has been identified, the system can be deployed at the zone of the threat by touching the “Deploy” button. System asks for confirmation of deployment to minimize risk of accidental deployments. Screen displays “Deploying…” text while system is active in selected zone.